English Literature: An Illustrated Record. Vol II. New York: The MacMillan Company, 1904. 370-373. Lancelot Andrewes (1555-1626) was born at Allhallows, Barking, in 1555. He was an excellent scholar at Merchant Tailor's School, and gained a fellowship at Pembroke College, Cambridge. When Jesus College, Oxford, was founded, young Andrewes was invited to be one of its foundation fellows, and in 1580 he took holy orders. He was a great favourite with Queen Elizabeth, who appointed him one of her chaplains and Dean of Westminster. At the accession of James I, Andrewes rose higher still in Court favour, and was made Bishop of Chichester in 1605, and had promotions showered upon him. Andrewes became successively Bishop of Ely and of Winchester. He headed the list of authorised translators of the Bible in 1611. Fuller tells us that James I had so great an awe and veneration of Andrewes that, in the bishop's presence, he refrained from that uncouth and unsavoury jesting in which he was accustomed to indulge at other times. This admirable prelate, an infinite treasure, an amazing oracle, died at Winchester House, Southwark, on September 25, 1626. His English Sermons, at the particular desire of Charles I, were collected by Laud and Buckeridge, and ninety-six of them were published in 1628. In his lifetime there had only appeared a little volume of sermons on the Lord's Prayer, entitled Scala Cæli, in 1611. The Sermons of the angelical Lancelot Andrewes, the star of preachers, display to us the qualities which were most enthusiastically welcomed from the pulpit in the days of James I. The oddity of phraseoly, the affectations, quips, and pranks of style, are so extraordinary in the surviving English writings of Andrewes that it is difficult to realise that they were once considered exemplary and found impressive. In his own age, the strange gymnastics of the bishop's language were not unobserved, but were the objects of adoring emulation. 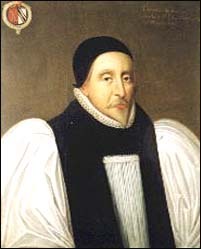 His fellow-translator on the Authorised Version, Nicholas Felton, Bishop of Ely (1556-1626), admits that he tried hard to write like Andrewes, and had almost marred my own natural trot by endeavouring to imitate his artificial amble. It was said, in a less eulogistic spirit, that Andrewes had reduced preaching to punning. There must have been something radically wrong in the taste of an age which persuaded the most saintly of its prelates, a man of the purest and noblest character, to indulge in such linguistical buffooneries as deface the Sermons of Lancelot Andrewes. But it must not be forgotten that he looked upon Latin as the vehicle of his serious and important declaration, and that his sermons, in which in lighter mood he sported indulgently with his courtly audiences, were not prepared by himself for publication. In that vast labour for the Church of England, in which Andrewes stood forth as incomparabile propugnaculuman incomparable bulwarkhis English writings took a negligible place. Created by Anniina Jokinen on November 7, 2001. Last update April 14, 2007. Background from a tile at http://www.webpagedesign.com.au.